HWD offers WordPress Responsive Custom Designs. All sites come with an abundance of features built in, with room to expand at any time. WordPress is the largest software used to create websites today. As new technology advances, you will be up to date. They also come with self-management which makes it easy for you to change photos and text. Responsive Mobile Friendly WordPress Design - your site shape-shifts to fit any device. Custom Designed Template and Page Layouts of your content. You send us the content, HWD will layout it for you. During your Tweaking Session, we can modify the layout if necessary. 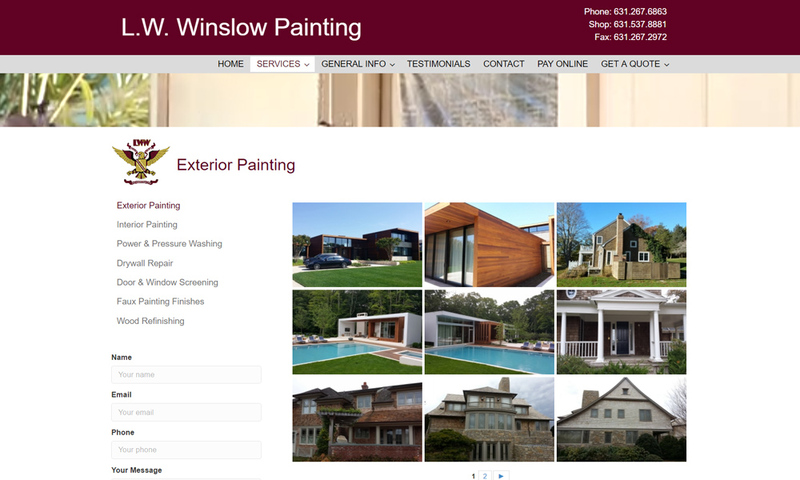 Your Logo and Color Themes designed into the site. Coded for Google’s many search engine optimization criteria, and updated monthly. Front-End Self-Administration so you can view your website, click any area, and change it there. Some advanced Plugins require using the main WordPress Admin which is also part of your site. Whatever pages you need we will design professionally for you using your content. Sections” of your website (such as Services) offer subpages you can add easily. This is especially useful for marketing, sending someone to specific page content related to their search. 6 included. Contact Page with forms, images and maps. 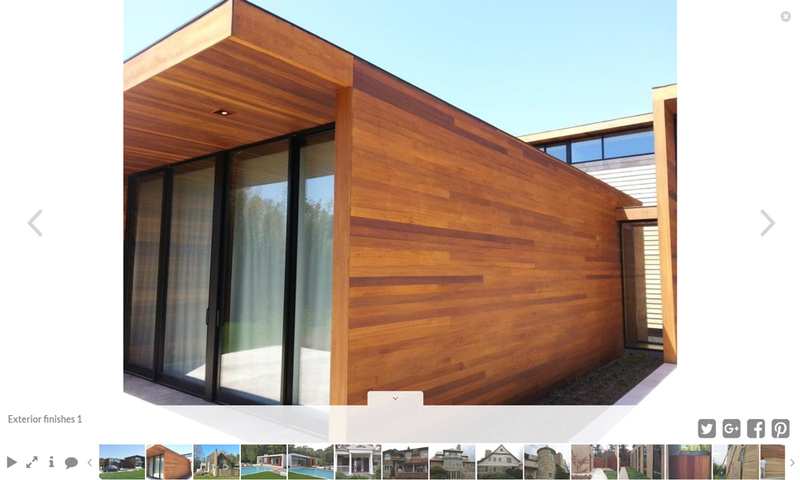 Photo Galleries – Simple or Hi-End Photo Galleries, with Social Media linking built in. Up to 8 galleries and accordion menus installed. Add more easily. PDF insertion - links and/or full PDFs right into your page. 4 PDFs included site-wide. Add more easily. 1 Pop-Up Modal that opens a page, subscription or other content from a button or link. Email Subscription Forms connect to the service of your choice: Constant Contact, Mail Chimp, Email, etc. Each main section/page of your site is backed up as a Template. Social Media Links Built into headers and footers. Google or any other Font installed site-wide as your main font. Google Fonts are free; other fonts may require small additional fees to purchase but can be installed. Google Analytics set up to track all pages & sections of your site - there is no better statistical program. 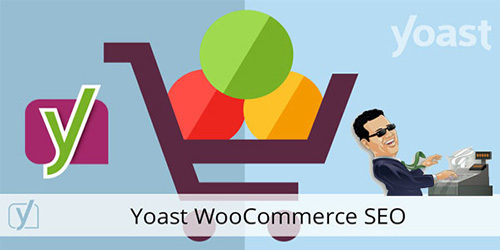 Yoast (free version) Search Engine Optimization Software SEO installed. Advanced version at additional cost. WordPress Sites evolve with the latest technology and is the largest design platform online today. WordPress is a world-wide community that updates the programming automatically. They’re built for today’s online market. 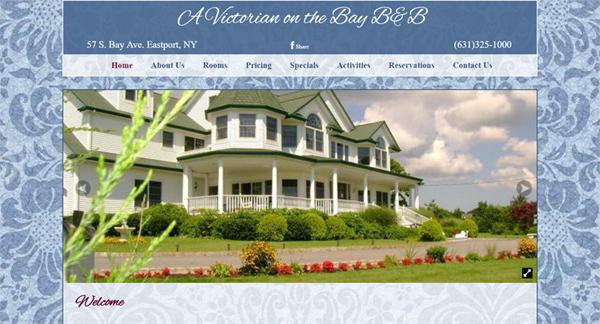 Hamptons Web Design's High-End Hosting is an additional monthly fee, and works perfectly with your WordPress website. We are adding this service in this document as all of our clients opt to host with us and there is a good reason for that. Hosting your website is as important as the site design. One of Google's main criteria for evaluating your site is "User-Friendliness". This means that the site pages need to open fast, the server does not crash, or slow down. HWD's servers are managed properly, and are very fast and reliable. HWD offers Automatic Backups Daily, Weekly and Monthly for a full year to 3 locations. Self-Management with our WordPress system allows easy front end editing - while looking at your website you can change any area of a page with a few clicks. A few advanced programs require backend administration. 100% personal friendly support by phone! As you work with your site, and other services such as marketing, HWD can help you continue to develop the site and your online presence, offer marketing advice, strategies for marketing, evaluation, and consults. “Plugins” are used to increase all kinds of functionality in your website. Plugins are like phone Apps that can be researched for you. HWD installs, tests, and then instructs you on how to use them. Plugin's are programs that "plug" into the main administration center that comes with your WordPress Website. Additional Modal Pop Ups to display an entire page, video or form, without leaving the page you’re on. Custom Forms of any length. Pre-Built Page Templates you can add to existing or new pages with 1 click. Ecommerce Store. Sell products, digital products, online. Food/Restaurant Menus including Ordering online, or pickup or delivery scheduling. Calendars - Quality event calendars for your business or organization. Donation System - The best system to accept, notify and keep up with donations. Special Galleries - Pop Up Project Galleries, and special displays. The following Services can be used a la carte or as a Multi-Service Package combining what you need, and saves money. You can change services at any time, and we adjust your monthly fee so you’re never locked in. All services come with 100% Personalized Phone Support! HWD can evaluate what specialty directories, such as Houzz, Home Advisor, Yelp and others, you want to advertise with or already have. We can add them into your Multi-Service Package and manage them for you. ARE YOU SPENDING TOO MUCH FOR SERVICES YOU DON’T EVEN NEED? HWD has found numerous clients have services they’re paying for but are not clear on what they actually do for their business. HWD can help you with this, and can take a look at any services you have, explain what you’re paying for, view statistics, etc., and offer you advice and options. HWD can create a Services and Marketing Package for you. To learn more please set up a phone consult so we can learn more about your business. The Basic Design offers the pages and content programs you need such as unique page layouts, photo galleries, contact forms, and more. WordPress also offers an abundance of special Apps/Plugins which can be installed to add the functionality you want. Some popular ones are: Custom Revolution Sliders, Donation Systems, Storefronts, Calendars, Uber Menu Drop Down menus (as illustrated), and many more. WordPress Websites offer you the option to expand, or keep it simple. 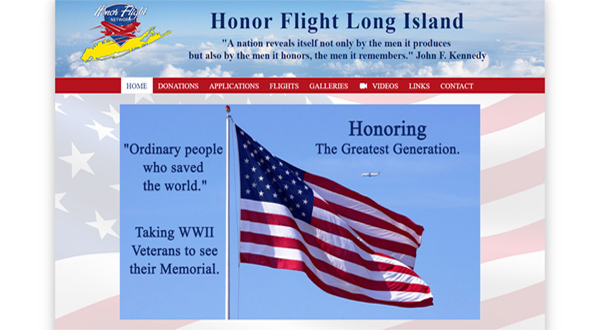 Hamptons Web Design will take your content, your message, and your ideas, and bring them to life in a stunning, productive website that can enhance your business. Affordable Custom Designs Unique for Your Business.